Does the Kennel Club put the wellbeing of dogs above all other considerations? The answer, as with most things in life, depends upon your vantage point. If you love Crufts and you’re a member of the Assured Breeder Scheme, you might think that the Kennel Club is the dog’s whiskers. If you’re looking for a puppy and want assurance that he or she has had the very best start in life, you might also choose to buy from a KC Assured Breeder. But what if you are being tragically misled? What if the Kennel Club is imposing advice that could harm dogs for generations to come? Here are the facts – you decide. A few years ago, the Kennel Club issued new guidelines for breeders wishing to register under the KC’s Assured Breeder Scheme – and the guidelines still stand, despite our campaign to urge them to change outdated vaccine guidelines. Membership of the Scheme allows breeders to use the Club’s literature and logo to promote their puppies, lending an air of authority and respectability. The updated document can be seen in full at http://www.thekennelclub.org.uk/download/393/absappform.pdf. As members of the Scheme, breeders must submit to inspections of their paperwork (including vaccination records) and facilities, and issue an information pack to new puppy owners that follows templates provided by the Kennel Club. Puppy owners then receive a questionnaire to ensure that the breeders are giving out Kennel Club approved information. However, someone needs to define the word ‘routine’ as it applies to dog vaccines because, historically, we have been advised to administer a cocktail of vaccines to our dogs every year, and the World Small Animal Veterinary Association is trying to get vets to stop this. If you would like to see the WSAVA’s guidelines, go to http://www.wsava.org/educational/vaccination-guidelines-group. According to the Kennel Club, this document has been prepared, ‘in conjunction with the World Small Animal Veterinary Association’. But how can this be, when the advice given by the Kennel Club is materially different to the advice given by the WSAVA? The Kennel Club Scheme makes it mandatory for Assured Breeders to follow their vet’s advice, and advise puppy owners to do the same. Yet it is well known that vets routinely recommend annual vaccination when it has been shown to be unnecessary and potentially harmful. 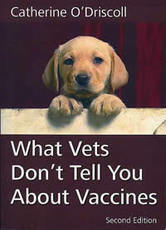 In fact, members of the World Small Animal Veterinary Association have been quoted as saying that vets don’t actually know a lot about vaccination. In essence, this means that if the vet is using a vaccine that is a ‘one year’ vaccine, then the Kennel Club says they must advise the client to revaccinate a year later. If they use a three-year vaccine, then they must advise revaccination three years later. The problem is that a very high number of vets in the UK vaccinate annually, and the WSAVA tells us that vaccines can and do last much longer than is stated on the ‘SPC’. Specifically, the WSAVA 2010 VGG guidelines state: “In speaking to practitioner audiences about the 2007 [WSAVA] guidelines it is clear that there is widespread confusion about their purpose. Many practitioners are initially alarmed that the recommendations appear contrary to those given on the product data sheet, and therefore feel that if they adopt guidelines recommendations, they are leaving themselves open to litigation. I apologise for the complexity of the above paragraphs, but I wanted to give it to you from the horse’s mouth – it essentially means that although the Kennel Club is warning vets that they’ll be in trouble if they follow WSAVA rather than vaccine datasheet guidelines, the WSAVA is encouraging vets to ignore the datasheets on the basis that vaccines provide protection for considerably longer than the datasheets say. How often do we need to vaccinate? So, the Kennel Club is insisting that dogs need to be ‘routinely’ vaccinated, but the WSAVA is calling for a reduction in the number of vaccines given. If you have never heard this before, I hope you are shocked and horrified that vets are advising their clients to vaccinate their pets every year against diseases to which they are already immune – for years. Of the non-core vaccines (leptospirosis and kennel cough in the UK), the WSAVA says: “The VGG has defined non-core vaccines as those that are required by only those animals whose geographical location, local environment or lifestyle places them at risk of contracting specific infections”. The words ‘specific infections’ is important in relation to this advice. The WSAVA advises that leptospirosis is a range of 200 different bacterins, and vaccination against one form (serovar) of lepto does not protect against any of the other 199 forms. Also, the vaccine is short-lived, giving only around 70% protection for less than a year. If your vet recommends a lepto shot, you need to ask him two questions. The first is whether he has seen a case of lepto in the last, say, six months (i.e., is the vaccine necessary; is your dog in danger?). The second is which serovar is involved, and is that serovar in the vaccine? For if it’s not, the vaccine won’t help. The issue isn’t necessarily one of spending money unnecessary, but of safety. The problem is that vets in the UK are likely to suggest that your dog will die unless he receives the lepto vaccine annually (although it can be treated with antibiotics, and it’s not a common disease in dogs here). Therefore, if you do as the Kennel Club wishes and follow your vet’s advice, you could be vaccinating a dog against a disease that is not prevalent in your area, or vaccinating with a product that doesn’t contain the relevant serovar, leaving your dog unprotected anyway. The WSAVA VGG names the four serovars responsible for most cases of leptospirosis in the USA but adds, “In many other countries there is insufficient knowledge of which serovars are circulating in the canine population. The VGG would encourage collection of such data.” No-one seems to know what they’re vaccinating against outside the US! Did you ‘get’ the point? Kennel cough does not lend itself to prevention by vaccination! Actually, the datasheets warn that dogs who receive the kennel cough vaccine can shed it for up to seven weeks – which means they can infect other dogs with kennel cough; they can also spread the infection to unwell humans (since it is very close to human whooping cough). The WSAVA is keen to point out that the latest vaccine in the puppy series should be given at 14-16 weeks in order to ensure that maternally derived antibodies (which wane at that age) don’t interfere with the vaccine, leaving the puppy unprotected until his 12-month booster. The Kennel Club misses this important point. The WSAVA Vaccine Guidelines Group “strongly supports the concept of the ‘annual health check’ which removes the emphasis from, and client expectation of, annual revaccination”. In addition, the WSAVA, “supports the development and use of simple in-practice tests for determination of seroconversion (antibody) following vaccination”. This means that you can have your dog’s blood tested to ensure that he or she is immune from viral disease, which means that you can avoid vaccinating unnecessarily. A new and relatively inexpensive in-practice titer testing kit – the VacciCheck – makes this more practical. The Kennel Club makes no mention of titer testing. advises that dogs should be vaccinated no more frequently than three yearly, but that in most cases immunity can be lifelong. and informs vets that it is acceptable to stray from the SPC with informed consent (informed consent means that the vet has discussed the risks and benefits with you, and you have agreed with his advice in writing). 1 in every 5,000 to 10,000 for severe reactions. If there are 11 million dogs in the UK, and only half are vaccinated annually, and one in 5,000 has a severe vaccine reaction, this means 1,100 dogs can expect severe vaccine reactions: skin problems and arthritis, all the way through to epilepsy, brain damage, and death. Let’s hope it’s not your dog suffering after receiving a vaccine he didn’t need, and that it’s not your vet who failed to tell you that he didn’t actually need the vaccine. As for moderate reactions, a further 1,100 to 5,500 can expect to suffer from behavioural changes and lameness, all the way through to ‘inherited’ allergies and respiratory disease. Still alive, but suffering unnecessarily. Has your vet ever told you any of this before you agreed to have your dog vaccinated against a disease he is already immune to? Has your vet ever told you he might already be immune, and offered you a titer test? I can answer this question for you – it is very unlikely that you have been offered ‘informed consent’. A growing number of people around the world who have campaigned to end over vaccination (in my case for over 20 years), are increasingly alarmed by discrepancies in the advice given by veterinary bodies and their members in public and private. They say one thing to one audience, and another thing to another. On the one hand I want to praise and honour the people who have worked on the dogs’ behalf, and on the other hand I want them to be clearer. There is a suspicion that there are political compromises involved, especially considering the widespread financial influence of the veterinary vaccine industry. Do you see significant discrepancies between Kennel Club vaccination advice and WSAVA advice? If so, do you question – as I do – why the WSAVA should lend credibility to incomplete and misleading information that can lead to the over-vaccination of our dogs, risking some pretty tragic life-threatening adverse reactions? Do you think the Kennel Club should issue incomplete and misleading guidelines and hold Scheme members to them, forcing Assured Breeders to spread that incomplete and misleading information to puppy owners? Should the Kennel Club incorporate more of the known science, rather than appear to be pushing vaccines when they are not needed? It’s not as though the Kennel Club is without top-ranking expertise to draw upon. Its former chairman, Steve Dean, started as a vet and spent many years as head of the Veterinary Medicines Directorate (VMD), the government body in the UK that licenses veterinary drugs and biologics, and which is charged with the task of ensuring the safety and efficacy of veterinary medicines. As head of the VMD, Steve Dean was one of the most highly paid and respected vets in the UK, and he should have the knowledge to reflect this status. Indeed, Steve’s expertise goes further: he also worked for 17 years in the pharmaceutical industry, becoming technical and marketing manager (Europe) for Syntex Animal Health. He was a consultant to the veterinary pharmaceutical industry prior to being recruited to the post of director of licensing, VMD, in 1996. He was also a past-chairman and treasurer of the Association of Veterinarians in Industry. Having spent many years as a marketing man within the pharmaceutical industry, and having worked as a consultant to the veterinary pharmaceutical industry, even chairing the organisation that championed vets in industry, and working as a regulator, we would be forgiven for expecting the Kennel Club’s new chairman to understand the importance of scientific accuracy. Perhaps the Kennel Club needed to consult its in-house expert before publishing misleading advice to breeders and vet owners, and holding them to it. For rather than helping the WSAVA to spread its message that we should: “vaccinate every animal with core vaccines, and vaccinate each individual less frequently by only giving non-core vaccines that are necessary for that animal”, the Kennel Club is in danger of taking us back to pre-1978 when no-one queried over-vaccination. Then – 35 years ago – Kirk’s Veterinary Therapy first published the statement from Drs Ronald D Schultz and Tom R Phillips that: “once a dog is immune to viral disease, he remains immune for years or life”. Why, as a dog owner and averred dog lover, a vet, a former regulator and pharmaceutical industry man, would the chairman of the Kennel Club – a clearly brilliant mind – allow the Kennel Club to muddy the known science and impose misleading information on breeders, and circulate that misleading information to puppy owners? And why would the WSAVA – which has worked so hard to end over-vaccination – lend its endorsement? Currently there is much concern from dog owns whose dogs appear to have had adverse reactions to the new Lepto 4 vaccine. Yet the WSAVA is sitting on the fence, saying it’s up to individual countries to set their own policies. My concern is that individual countries are amendable to control, and the pharmaceutical industry is happy to wield that control. For your dog’s sake, or profit’s sake – you decide. You may have studied canine behaviour in order to understand why dogs do what they do, and how their behaviour can be modified. I wonder if you’ve studied human behaviour, as I have, to understand why people treat their dogs so badly, and how they can be encouraged to look after them better? Dog owners come from all walks of life. At one end of the scale are those who like to be in control. These include people with antisocial personality disorder, also known as psychopaths. Psychopaths, due to their genes or their early childhood environment, show callous disregard for the rights and feelings of others. They are the people most likely to physically abuse animals (and other humans). Psychopaths are usually highly intelligent. They understand others well, but they don’t care about them. They can be manipulative and dishonest, exploiting others for personal gain. Although you may assume that psychopaths are the crazed serial killers we hear about in the news, they’re actually represented in all walks of life, and particularly at the top of the business world. Many of our captains of industry are psychopaths. Narcissists are similar to psychopaths. They are egotists with a sense of superiority and a lack of empathy. Others don’t matter, they’re simply a means to an end. Narcissists exploit others whose needs they feel to be less important. Many top business people are narcissists. The vast majority of society sits at the other end of the scale. They’re the followers, named ‘Apaths’ in psycho-speak. Apaths are naturally amenable to control. It’s estimated that over 90% of people in our society are apaths. They support the sociopaths and narcissists by opting out. They’ll watch someone be brutalised in the social media by a sociopath, for example, and they won’t intervene. There are also people described as codependent, which seems to cover the majority of us. Codependent people have been taught, as children, not to trust their own thoughts or feelings. They lack self esteem and long to be regarded favourably. They believe that those in authority know better than them. Very few people are therefore able to work out what’s true and what isn’t, because the people who seek power are pulling strings for their own ends. I’m not saying this as a cynic, but as someone who has studied what is officially known about human behaviour. The end result is that we harm our dogs accidentally, because we’ve been manipulated by individuals and corporations into believing a pack of lies. The lie that most dog owners currently believe, and which is causing horrendous harm, is that dogs need to be vaccinated every year, or even every three years. This is just not true. This woman is speaking from fear. Fear makes it’s easy to manipulate people into believing that annual shots are necessary when they are not. This woman is also speaking from fear, sponsored by the lie that annual shots are necessary. The tragedy is that, having already shown reactions to vaccines, the next unnecessary vaccine could kill her dog. If the vet were knowledgeable and honest, he would have told Ollie’s owner that vaccines can cause immune-mediated diseases. Vaccines probably made Ollie ill in the first place, and neither he nor Susie need annual shots. Here is a statement of truth: once immune, dogs are immune against viral disease for years or life. The study group set up by the WSAVA (World Small Animal Veterinary Association) on vaccines has issued global guidelines which categorically state that dogs and cats should NOT be vaccinated at more than three yearly intervals. By this they do not mean vaccinate every three years! As for Leptospirosis, the WSAVA acknowledges that this vaccine causes more adverse reactions than other vaccine, is ineffective, and is ‘optional’. Importantly, the WSAVA acknowledges that vaccines can be harmful, and titer (blood) tests are safer than revaccination. If this man had given this puppy heroin, his vet would be in no doubt as to cause and effect. It’s amazing how they don’t connect the dots. In fact, a study conducted by Purdue University found that vaccinated, but not unvaccinated, dogs developed auto-antibodies to a wide range of their own biochemicals. One of these was laminin, which coats kidney cells. Vaccinated dogs were attacking their own kidneys. Vaccines can also cause the disease you’re attempting to prevent. In the Canine Health Concern vaccine survey, 100% of dogs with leptospirosis contracted it just after being vaccinated against it. Leptospirosis, of course, attacks the kidneys – and the puppy had severe kidney damage. I shared Edward’s story with Dr Patricia Jordan, a vet who has done a great deal of research into the vaccine issue. She added these comments: “Kidney failure is a common sequel to vaccination. The basement membrane is susceptible to damage from a clogging that results as the immune complexes are drained via the lymphatics. The kidney is a big part of the lymphatic system. The body tries to clear the toxins in the vaccines and there is damage done in this clearing mechanism. “Lepto is a very adverse event associated vaccine and the damndest thing is that lepto vaccines simply do not work. Dr Ron Schultz (the world’s foremost independent authority on canine vaccines) hates to see them in with anything else and, in puppies, advises that they are completely finished with the viral inoculations before getting a vaccine against Lepto, which he neither recommends nor advocates – even in Lepto endemic areas. Many dog lovers, I suspect, have difficulty in understanding the science surrounding vaccination, so they’d rather trust the ‘experts’ than struggle to understand. Dr Jordan sent me one of her diary notes, which isn’t technical in the least. Perhaps this will have meaning for you? “What a depressing day today. I had to kill a patient who was vaccinated every year, fed crappy food, and was so immune exhausted that he had everything wrong – coccidia, yeast overgrowth, cancer. I took pictures of his poor wracked body. I only had about a month to try to reverse his condition. It was insurmountable due to the years of visits to the vet and resulting complete adrenal exhaustion and immunosuppression. He was just spent. “The day got worse. I heard barking in the reception and found a tiny eight pound terrorist barking at a tall noble greyhound. The tall dog was looking desperate and his sides were heaving. I went back to finish the patient I was with. By the time I had finished, I’d missed the next patient and the owner of the practice had him. “I was able to walk by the room for another reason and was very concerned to see vaccines laid out in the room – with the dog who looked like he couldn’t breathe. I have ranted and raved against vaccines – the over-use and the fact that every single day there is malpractice committed with the administration of this danger to sick and geriatric animals. Anyway, the dog was shot up with vaccines. “After lunch, I returned to see two of the kennel workers carrying that dog’s dead body back to the freezer for burial. He had gone home and died. The owner was very upset. Apparently, he wasn’t expecting to have vaccinated his pet and his pet die shortly thereafter. “I looked at the record. The dog had been a cardiac patient for a while, with terrible heart murmurs. That was why he was so concerned about the barking terrier, if only eight pounds. The dog could hardly get around, so why was he administered an eight way MLV vaccine? I agree with Dr Jordan. The situation is desperate. Those in authority don’t appear to care, and the pet owners seem unable to get out of the mode of following. Research shows that vaccines can cause arthritis. They can also, as a symptom of encephalitis (which is an acknowledged vaccine reaction), cause paralysis of the rear end. Yes it does mirror other experiences. Epilepsy is another symptom of encephalitis, an acknowledged vaccine sequel. Millions of pounds have been paid out worldwide in compensation to the parents of epileptic, vaccine damaged, children. Brenda Hopping wrote: “I took my eleven year old dog (the love of my life!) to have his boosters yesterday. Just minutes after leaving the vets, he collapsed to the ground in an unconscious state and looked as if he was dying. The sight of this was horrendous, just seeing his legs at awkward angles and in spasms. ”He did come round, but his eyes were glazed and he looked completely disorientated. I couldn’t lift him. I managed to persuade him to his feet and he wobbled back to the vets. My dog has a slight heart murmur and I feared the worst. The vet would not say that it may be something to do with the vaccination. He just told me to take my dog home and advised me that if it happened again, I should bring my dog back for an ECG. Proceedings of the First Veterinary Vaccine Symposium, held in 1997, advised that geriatric dogs – over eight years of age – should not be vaccinated. All vaccine datasheets state that only healthy animals should be vaccinated. A dog with a heart murmur is not healthy. He should not be vaccinated: he can die. When I started reporting vaccine reactions back in 1994, a limited amount of research was available. It isn’t limited any more. What is needed now is for vets to stop giving unnecessary annual shots, to start upholding the truth, and for pet owners to become aware of the truth and honour the trust their dogs place in them. It is a sad fact that we live in a world where we can’t trust apparently respectable business people and healthcare providers to put our dogs’ health first. We need to wise up – our dogs depend on us. Something has come to my attention recently – cannabis oil. So here’s the question: Is cannabis oil a miracle cure for a myriad of immune-mediated diseases? It is said to be another powerful immune modulator. A bowel cancer patient was given 18 months to live and now claims that he has been cured by cannabis oil. David Hibbitt was diagnosed with the disease in July 2012 and underwent chemotherapy, radiotherapy and surgery to remove his large bowel. Doctors told him the cancer was terminal so he decided to try cannabis oil as a last resort and bought it from a local dealer for £50 a gram. Now the father-of-one says he has been cancer-free since his last scan in January – and puts the class-B drug down to his miracle recovery. Search the internet for ‘cannabis oil cancer cure’, and you’ll find many similar examples. In November 2007, researchers at California Pacific Medical Center released a study on the effects of cannabis oil (specifically a constituent of cannabis called CBD) on cancer. The study concluded that CBD shows promise for controlling the spread of malignant breast tumours and stalling metastasis (the process of cancerous cells spreading into different parts of the body) by “turning off” the activity of a gene responsible for tumour metastasis. Since then, numerous studies have verified that cannabidiol shows inhibitory effects on several types of cancer including breast cancer, colon cancer, certain types of brain tumours, leukaemia and others. Parallel to these studies, cannabis oil has also been shown to inhibit benign tumour growth. Cannabis oil induces programmed cell death in breast cancer cells by coordinating the cross-talk between two of the body’s defence mechanisms against cancer: apoptosis and autophagy. Apoptosis is the process of programmed cell death, while autophagy is the breakdown of individual cell components. Combined, these two processes weaken and destroy cancer cells. Here’s another example, this time for autism: At 10 months of age, Kalel Santiago of Puerto Rico was diagnosed with a rare form of cancer called neuroblastoma. He survived chemotherapy, radiation treatments and surgery. Then he was diagnosed with severe autism that disabled him from speaking. Eventually, his family stumbled upon cannabis oil. Kalel was given oral doses twice a day. Within just two days, he was able to speak. Cannabis oil has also been studied in relation to epilepsy. In one study, in Pharmacology in 1980, four of the eight subjects remained almost free of convulsive crises throughout the experiment and three other patients demonstrated partial improvement in their clinical condition. Cannabis oil was ineffective in one patient. Another paper in Orv Hetil, 2012, stated, “Cannabidiol has an immune-modulating effect …” and may be helpful in the treatment of metabolic syndrome (metabolic syndrome involves abdominal fat, glucose intolerance, and a high risk of heart attack). Meanwhile, Rheumatology, 2006, found that cannabis oil produced statistically significant improvements in pain on movement, pain at rest, and quality of sleep. In fact, there are many conditions which CBD oil is claimed to help, including; chronic pain, cancer, anxiety, diabetes, epilepsy, rheumatoid arthritis, PTSD, sleep disorders, alcoholism, MS, cardiovascular disease, antibiotic-resistant infections, and various neurological ailments. Miles, a 12-year-old black Labrador Retriever had developed a splenic tumor that eventually metastasized to the liver and lungs. Miles was given two months to live and tramadol for the pain. But Miles’ owner didn’t like the way tramadol affected her pet. “Every time we gave it to him, he would just sleep; he wouldn’t even move. He’d just lay there like he was dead,” said Denise, who asked that her real name not be used. Sitting outside a West Hollywood, café with Miles at her feet, Denise recalls how a friend suggested she try a glycerine tincture of marijuana that is sold as a pet medicine in dozens of licensed medical marijuana dispensaries throughout Los Angeles. Within an hour of giving Miles the tincture, the dog’s appetite returned, and he was no longer vomiting. Though initially hesitant about giving her pet an unapproved drug, Denise figured where’s the harm? Miles has terminal cancer and would die soon. Besides, people can’t overdose on marijuana, she reasoned. “I wasn’t that worried. I was actually pretty excited, because it has been used with human cancer patients for pain and nausea,” Denise said. If the tramadol had worked, Denise says she wouldn’t have considered giving her dog marijuana. Now a “true believer” in marijuana’s therapeutic effects for at least some animal ailments, Denise says she will recommend the drug to other pet owners. Denise is probably not typical of the millions of US pet owners. She is part of what is likely a small community who use marijuana for their pets because they see it as a safe, natural, and effective alternative to “man-made” drugs. Should legal and social prohibitions associated with marijuana use continue easing, more and more pet owners might come around to this line of thinking, and Denise’s views could one day be less unorthodox than they are now. Ernest Misko had never experimented with marijuana until his doctor recommended the 77-year-old try it for his chronic back pain. Misko was so amazed with how good his back felt afterward that when his aged pet cat, Borzo, had difficulty walking, Misko started feeding the cat the same marijuana tincture Denise used. Within a few days, Borzo appeared to be pain-free and was moving much better, according to Misko. “I don’t get high, but the pain goes away. So I tried it on my cat, my 24-year-old cat, who’s feeling better,” Misko said. 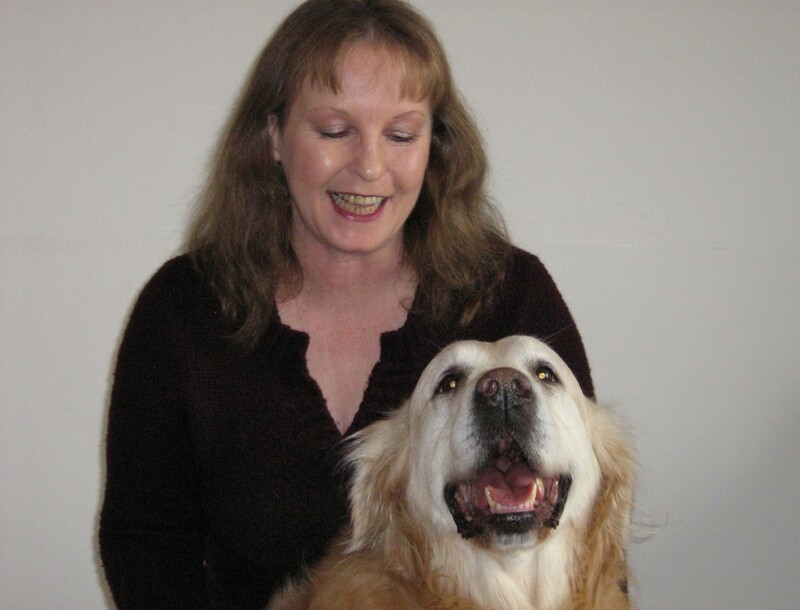 Becky Flowers came to believe in marijuana’s healing powers for animals in a similar fashion. The Southern Californian’s pet horse, a 20-year-old named Phoenix, had had degenerative ligament disease for several years. But nearly a year ago the condition worsened. Phenylbutazone, glucosamine, Cavallo boots, cold and warm wraps—whatever Flowers tried, it didn’t help the horse for long. Eventually, Phoenix lay on her side and stopped eating and drinking. Before resorting to euthanizing Phoenix, Flowers fed the horse marijuana. After all, Flowers herself had found marijuana to be a more effective analgesic than the medication she had been prescribed for pain associated with spinal spurs, arthritis, and several recent wrist surgeries. “Cannabis offers more relief to me than Norco, so why wouldn’t it also help Phoenix?” she reasoned. Within an hour of ingesting a small amount of marijuana, Phoenix was walking, eating, and drinking, according to Flowers. She boils the marijuana plant, then makes the abstract into a butter that she feeds the horse once a day. “With cannabis, I don’t worry about potential liver damage as with Bute. I also don’t worry about her overdosing, as I only give her a small amount. She never appears panicky or disoriented. She’s just her normal, happy Phoenix,” she said, adding that her Chinese Crested dog Tripper no longer chews on his feet since Flowers started mixing a small amount of marijuana into the dog’s food once a day. Three days later, on June 4th, Loki suffered a grand mal seizure, that lasted about 50 seconds. “By the time we arrived at the veterinary emergency clinic that evening, his heart rate was back to normal and Loki had no fever. I immediately made a connection to the vaccine he had received three days earlier. The next morning we took Loki to our regular vet for an exam and to do further blood tests. After extensive research, Silke discovered that, of course, vaccines frequently cause epilepsy. Loki subsequently had more seizures. Silke is now using cannabis oil for Loki. “The hemp oil seems to help,” she reports. “He had one short seizure on September 24th and nothing since, and it was a short one — I am tracking everything. “I am confused, too. Apparently the oil we are giving Loki comes from the hemp plant, not the marijuana plant. “But this is still illegal stuff here in Canada. My husband did more research on this. We ordered it from the USA and it arrived , no problem. It was just two small bottles for a lot of money and it says food supplement on the label. It also says that it is hemp oil. “I guess we were out of options and we chose to go ahead. So far definitely no negative side effects for Loki. We give him 8 drops 2 times daily on his food.